thankful I am for her. I used a digi from Sherri Baldy at the Scrapbook Stamp Society to showcase on this card and I hope you like it!! Penny Duncan SVG to cut it with my Black Cat Cougar. them down.. oops…sorry…but hey the crop was fun. Well that is my DT card for you this month here at The Crafty Card Gallery. of you a very Merry Christmas! !” Please come on over to my blog and check things out after you finish up here, I would love for you to leave a comment for me and let me know how you like my cards. See you over at Scrappinwith’Z! that I used for my card. Isn’t it a cute set from Craffiti Direct? into one that can be used just to say thanks, quite a versatile set! then colored the acorn in with my Copic Markers and used a Spica Glitter pen. I just LOVE the way the acorn turned out, don’t you? That’s all for now, I hope I’ve inspired you to be CRAFTY! For those of you outside the U.S.A., have a GREAT day! 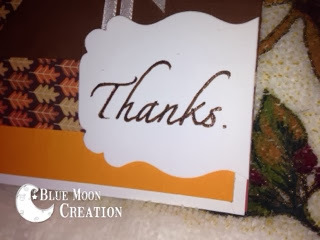 I’m sharing my Thank You card for this month’s DT challenge. We don’t celebrate Thanksgiving here in Australia, so I’ve made a Thank You card instead. Because it’s a thank you card, I am also able to donate this card to our local oncology ward, where a group of local ladies (including myself) donate cards every month. 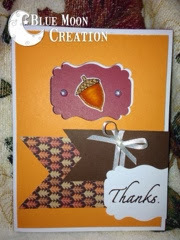 I’m here today, from Christina’s Rainbow Room and the Crafty Card Gallery Design Team to share a Thank You card I made. It’s very colorful and stands out on the black paper! One of the techniques I used is “chalking”– it’s pretty cool. Hi everyone! I’m here to share my design team card I created for the Crafty Card Gallery Blog. This month’s challenge is Thanksgiving/thank you theme. Well, I created a gratitude card. Gratitude means a feeling of thankfulness or appreciation. I’m thankful for my family, a loving husband, family, friends, talent to create and I’m most thankful for a God that has given me ALL of that and so must more. I used Trees of Gratitude rubber stamp set from Unity Stamp Company. I love how the card turned out but with rainy weather and the photos I took the coloring of the card just did not turn out the way it looks in person. 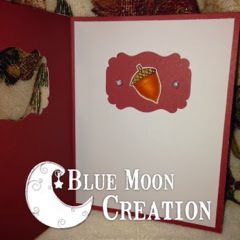 The card measures 4 1/2″x8″ and I used kraft cardstock for the base and then I used a variety of scrapbook paper, paper leaves, button, Dew Drop and Color Box Chestnut Roan Fluid Chalk ink. If you have any questions let me know, hope your Monday is wonderful and enjoy creating!!! 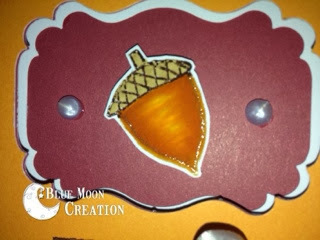 For this challenge we we’re asked to make a thank you card or thanksgiving themed. I changed my mind right before making my project & decided to make this “Thankful” banner. It will be perfect in the coming weeks as my family prepares for Thanksgiving. At our Thanksgiving dinner we usually share ten things we are thankful for each year. At our house during the holidays it is generally just my husband and our two teenagers as we do not have family nearby. It is something I’m used to as growing up it was very similar (my parents and two sisters)…I grew up in a military family. We too often spent holidays with other family, church friends or military families without family nearby. What traditions does your family have? More details about our card can be found on our blog at here.